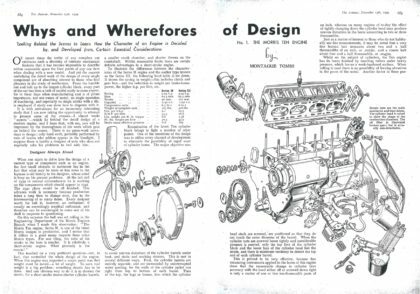 In 1939 the Autocar magazine published two technical articles on the subject of the Morris XPJM engine. 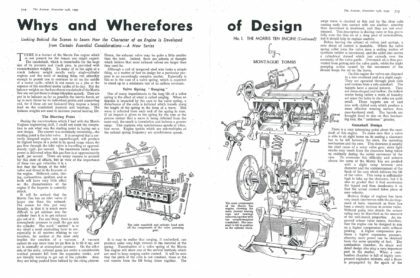 This engine of course was the source of the MG XPAG engine and it’s introduction intrigued Autocar enough to send Montague Tombs to investigate its advances in design. The two articles were published in the 17th and 24th of November 1939 editions and are here published by kind permission of The Autocar magazine. We hope they prove of interest to those wondering about some of the finer points of the design of the XPJM and XPAG engine. You can visit Autocar’s website at http://www.autocar.co.uk.